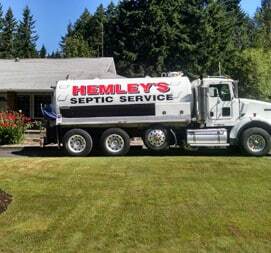 Septic Cleaning Services Key Peninsula offers you premium service. We provide ourselves on our prime quality service and swift turnaround. In case you have the septic system or tank that is in dire need of cleaning, we are your best bet. We offer affordable rates for the top of the line cleaning services. For years, we have been offering our services including grease trap maintenance, small repairs, and onsite assessment. We have improved our services time to time to handle matters better and went on to become a certified service provider in our area. We are a licensed company that helps you out for whatever you need, be it cleaning or repair. Just give us a call, and we will take the mattes in our hands. We are a fully licensed and certified company that offers you a wide array of septic services. 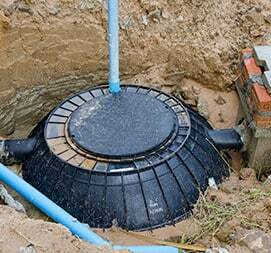 We have the experience and equipment to work on commercial and residential septic systems. We have been serving our vicinity for decades, and we have established ourselves as the best septic cleaning service around. Our clients rely on us because of our prompt and efficient service, affordable prices and great prices. We offer skills and experience for every query. We help our clients to save money and have peace of mind that their work is in capable hands. We offer Residential and commercial septic system clean out services. Being a privately-owned business, we provide fast and reliable service that is overseen by experienced and well-trained professionals. We listen to your queries and come with an affordable and easy solution. We believe regular maintenance is a vital precaution to avoid any unexpected issues. Therefore, we also offer a computerized reminder that helps you to book the routine appointments. This will contribute to keeping your Septic systems in good condition. We have established a trust in our region and all the business trust us for septic cleaning. 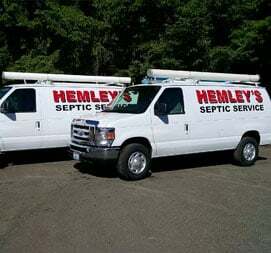 Septic Tanks Cleaning Key Peninsula cleans and repairs grease traps, storm drains and even pits. We are a reliable service that offers expert and thorough service. We save you from the price of having major repairs. The septic system is mostly buried underground, but this doesn’t put it out of sight. If you don’t believe this, just ask anyone about their septic system problems. We have been solving such issues since we founded this company. We are known for our professional and friendly service as we get to your query as fast as we can. We improve the working of your system and make sure we work if the thing needs some tweaking. If it doesn’t, we leave it to be. We make sure the tank doesn’t need pumping, or the issue is somewhere else. We get to the root of the problem and get rid of it for good. The problem is, homeowner’s misbelief that they need to pump the whole system. The common issue of such problem is the line clogged by something, and it causes the whole thing to malfunction. We assess the situation at hand before we give you some advice. We take serious predations while we are working on a job. We make sure we execute the whole thing perfectly and dispose of any wastes responsibility. Whenever the system shows any problem, we lead to all sorts of possible issues. At Septic Cleaning Key Peninsula, we commit ourselves to offer you a high-end service. This will help you to avoid any costly repairs in the future. We take care of your problem with our top end inspection and maintenance work. We make sure the system will work perfectly. We have been cleaning and maintaining septic systems in the region for years. With we know what works and what won’t. We have tried many things and have our fair share of experiments in our early years. With all our experience and training, we dare say we offer you the best Septic Tank Cleaning Key Peninsula at such affordable prices. 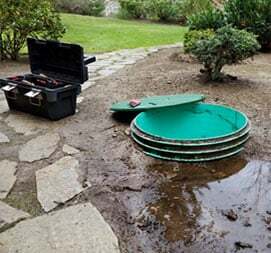 So, if you think your tank is clogged or the septic system has some issues and it needs a professional touch, don’t be hesitate to call us, we are always here to help you.